When these games were released back in the late nineties, the air around younger Game Boy owners was one of excitement and rivalry. Nintendo is clearly trying to capitalise on the nostalgia factor for all of us who were within the target age group (and some who weren't) when these titles were originally released, that much is clear, but how do they stand up in a world of Mega Evolutions and EV Training? Pokémon Red and Blue are both Pokémon distilled down to their rawest form; you catch, raise, and battle Pokémon with a total party of six creatures to do your benevolent bidding. As your Pokémon grow they learn new moves, become stronger, and your skill in using them should improve accordingly. As you explore different regions you must challenge and defeat powerful Gym Leaders to earn their respective badge and make your way onwards to battle the Elite Four and become the Kanto Pokémon Champion. On the whole everything's aged surprisingly well. The visuals are hugely dated of course, but the mechanics and gameplay are just as engrossing as they were two decades ago. It's true that the various new elements found in later Pokémon titles do allow for more precise and repeatable strategies, but the simplicity of this older system matches the hardware it was originally running on, so we found ourselves very quickly adapting to this more archaic way of playing. One major drawback however is the lack of description for any of the in-game moves, meaning the only real way to find out what they do is through trial and error. This isn't going to be any kind of an issue for the more experienced players, but those without prior Pokémon knowledge will likely find this unnecessarily frustrating. Thankfully this is where the shortcomings end for the most part. 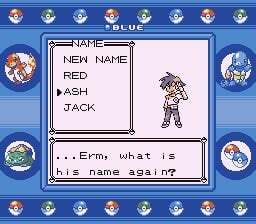 The original game files are almost completely unaltered, meaning all of the old glitches that circled the playground are still present, allowing you to (perhaps against your better judgement) catch the legendary Missingno in all its various guises, or even grab a Mew before you beat the second gym leader. The games will also become compatible with Pokémon Bank in the future, meaning you'll be able to transfer Pokémon from these games to the upcoming Pokémon Sun and Pokémon Moon upon their release. How this will work if you try and upload a glitched Pokémon is anyone's guess right now. The other new feature that has saved these titles from potentially being isolated from their fellow games is the inclusion of trading and battling over the 3DS system's wireless communication. The way it works is essentially using new code as a wrapper, meaning the game believes it's working with a link cable, so the original trading and battling is untouched - for better or for worse. Considering Red and Blue house certain Pokémon that are not available in the other, this means catching them all is still not only possible but remains completely faithful to the original Game Boy experience, and that's a theme that runs rife throughout. Even the standard save state feature of the Virtual Console has been disabled, most likely to prevent Pokéball abuse and keep the element of chance intact. The actual emulation of the titles does result in a softer upscale than you might expect, but to be honest you'll forget it's even there after a short time. If it really does get on your goat you can always sacrifice resolution for pixel perfection by holding Start as you boot the game, adding a Game Boy console border around the image to fill some of the blank space, but you'll end up having to squint more than is probably healthy, especially if you're playing on a standard-sized 3DS. 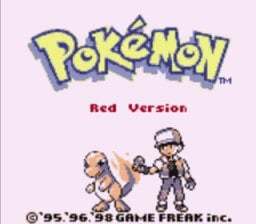 Pokémon Red & Blue are a superb addition to the 3DS Virtual Console, and whilst these are both twenty year old games with the occasional wrinkle, they're still extremely engaging and involving titles in which to drown your free time. The gameplay is simpler by modern standards, but there's still a wealth of intricacies and complexity to be explored if you want to train a team to pixel-powered perfection. If you were to drag everything about the game and dump it in a nice, shiny, new 3D engine like X & Y you'd be forgiven for thinking these were brand new games, and you can't say that about many twenty year old titles. Great games which have aged well. I only wish it were possible to trade/transfer between games on a single console given the lack of an online trading feature. That being said, wireless trading is nice. Also a tip: If you're planning on getting all 151 in the originals AND buying all three versions, make sure you get Porygon on the Blue version. It's like 2,500 coins cheaper and will save you some stress. These games have aged terribly. Terribly unbalanced, lack of natures, hold items, abilities, and mega evolution, terrible graphics, zero post-game, and no communication with the 3rd, 4th, 5th, and 6th gen games makes these games completely unplayable. The only thing holding this up is nostalgia and bringing you back to simpler times as a child. 1st gen games do not hold anything compared to today's games. @abbyhitter It's a bit ridiculous to say that this game is "completely unplayable" because it doesn't have features a newer game doesn't have. The only legitimate criticism there is "unbalanced". Aside from that is just things introduced in newer games. And that's a ridiculous thing to judge a game by. By that logic, the first entry of every game series is terrible. @abbyhitter I have to disagree. I find that the addition of several natures, functions as especially the mega evolution don't improve anything in the current generation of games. I'll admit that, when I first played Red in 1999, I had no idea what a SNES was so that little bedroom easter egg was lost on me. Come on, I was a Sega kid for the home consoles, I didn't know what was on the other side! Also, I specifically remember working out how to exit the bedroom and saying "I've just completed the first level" ...having never played an RPG before and assuming all games were split into levels. @Calllack sure, graphics are pretty important nowadays. But personally I find that it is less important to focus on graphics and more on gameplay and an enjoyable story. That said, keep in mind thes are virtual console games, specifically put out to give us an experience as close to the original as possible, so why change the grapics in this situation? Is yellow getting a separate review? Yeah, I agree that gameplay>graphics. What I meant was that they're the only really noticeable difference between games nowadays. @Calllack In that case: Hear Hear! I'm playing Pokémon Blue on my 3DS at the moment. While gameplay is still similar to the new games in the series, I do have to say the natures, held items, double battles, mega's, and several other new additions definitely improved upon this one. Especially during the postgame where link battles thrive. Still, these are amazing games! These games are still great. I'm having so much fun replaying these with my family. 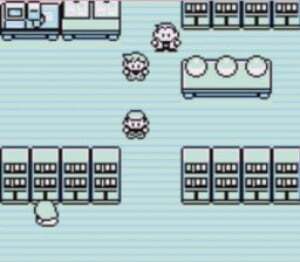 This time I'm going to beat the game's true final boss: Professor Oak! @KIREEK I simply have to ask: do you use this same name on Kotaku as well? Between the username and image my head spun for a second there. Either way, welcome! For half the price i would have probably given yellow a spin but not really willing to drop 10 euro's on such an old game since id probably get bored of it rather quick. You could say im rather spoilt by all the things the new games added. Tempted, but can't face the slow pace and one use TMs for a bit of nostalgia I fear would wear off very quickly. Might dig out leaf green and my GB Micro for a quick fix. @3792M Just like any argument, you have your opinion, and I have mine. I find 1st gen games rather unplayable when compared to the newer games. Sure the nostalgia is there, and it brings you back to your childhood. That's all it does for me. If I wanted to play through Kanto again, I would go with my FireRed or HeartGold version. Red, Blue, and Yellow are so primitive and don't deserve the same score as XCX and Bayonetta 2. This numbered scoring system is archaic and doesn't accurately measure if a game is good or bad. Completely agree with the review. I have to say after beating the game a day ago, some of the only flaws I could find, were the no info for the moves, Psychic Pokémon are wayyyyyy overpowered, and the difficulty spike right at the Elite Four is still as relentless as I remembered as a kid. Otherwise near perfect games. Classics that everyone should try. I'd still rather boot up the originals than most of the newer games. Bring on a re-remake of the originals!!! I don't see the point of shelving out ten euros when I have the excellent GBA remake lying around. Yellow could be an option but only if there is some benefit to transferring your monsters to Sun/Moon that X/Y or OR/AS cannot provide. Agree with the review. But nothing can change what it was back in the day, and nothing can change the impacts it made even if there are minuscule oopsies we see in it nowadays. All the weird whining about "There's a perfectly good remake for the GBA", which isn't on virtual console though? Convenience is key here. Also they're not the true originals. People are failing to accept those big reasons. It must have been because FR/LG came out too soon after the originals in the scheme of things because i was so bored with them. Ruby & Sapphire were much better on the GBA. These games really haven't aged Well. Still a lot of fun though. They'll probably release FR/LG again someday with a few added bonuses like RBY and it'll be more expensive than this or the other GBA VC games and all the children will come forth and once again say they don't want it because it's too expensive. Can we all agree that pokemon yellow is the worst main series pokemon? @Thegentleman Reckon so, this there are changes like Pikachu as your starter, anime stuff, and they've even unlocked the Pikachu Surfing minigame in this release so you no longer require a Surf Pikachu to play it. Bought Yellow, and aside from the pre-Cerulean City parts being tough, I'm having a blast so far. Little spoiler: the Mew glitch works. I'm trying to catch a wild Gengar with this exploit as we speak. What happened to that gigantic crowd that was always begging for these games to come to the VC, now we have them and everyones complaining. It feels like the fans are getting worse each year. I would have preferred Kanto redone in the same graphics engine as XY as the Special stat and some movetypes were adjusted for a reason in FRLG. I am happy for those who have been eager for VC releases, especially since trading was enabled. Wait. Why are the screenshots in this review in color? Aren't the VC releases just black and white? (besides Yellow) Might be kind of deceiving to people who might buy the game based on this review. @dok5555555 The screenshots were taken on the Super Gameboy addon on the SNES, meaning this is a review on the gameboy game, not the virtual console port. Edit: my bad, this IS a review of the port. I guess that is misleading to use screenshots from the SNES then. I am currently playing trough yellow. The game is still challenging. I recall the dread I felt when I faced Koga for the first time ever in yellow. His mighty level 50 Venomoth trashed my mid level 30 team (I used to skip trainers back then). On my current playtrough I've defeated every trainer up untill Silph co just to make sure I won't be trashed by Koga (or Sabrina) again . Everything is great in the game, definitely a 9/10 from me too - except it's not perfect. I'd have to say Gen 5 is my favorite because BW is like the originals, but perfected, (Physical/Special split, type balance, etc.) and it felt like a reboot for a new generation. BW2 was an amazing sequel with tons of content, and XY looked nice but over-complicated things with Mega Evolution and didn't have as much content. I love ORAS, but I do prefer Gen 5. @MarioPhD You got it! It's me man . Joined up the day of the site's redesign to express how much I liked it. Thanks for the warm welcome! @Grayfoxz While I agree that you're way too overlevelled in the 6th generation all the time, but Red/Blue isn't exactly hard at all if you know what you're doing. The AI is pretty horrible, actually. Many supposedly strong Pokémon have terrible moves (like the Champion's Rhydon has Leer, Tail Whip, Fury Attack, and Horn Drill. Three of these are pretty terrible that you shouldn't use like after the second badge of the game, not to mention two of them have the same effect, and one just relies on getting lucky and KOing you. Not to mention his Exeggutor, which only has 3 moves for some reason: Hypnosis, Stomp, and Barrage. Hypnosis is not bad, Stomp is hardly useful, and Barrage is just terrible), and if the enemies have a move whose type is strong against your Pokémon, they will spam it to no end, even if it doesn't deal any damage... For example, Lance's Dragonite has Agility, which is a Psychic type move, and it raises your speed. So if you bring out a Poison or Fighting type Pokémon against it, he won't ever hurt you, so you could easily beat it with a level 3 Weedle, for example. I don't like Fire Red and Leaf Green. They feel sterile and lacking in charm. I know nostalgia's a factor here, but this is coming from someone who vastly prefers HG/SS and AS/OR to their predecessors. The strange thing is I thought that going back I would find it incredibly jarring, due to how much simpler basic things in the new games are. But I was incredibly surprised, the basic design of the game is still brilliant and just as fun as it was back in the day. Of course, selecting certain options takes a bit longer and some of the Pokemon are a bit imbalanced, but as an overall experience it is undeniably enjoyable and the magic hasn't disappeared. When you think about how basic the Game Boy was, it's amazing to think they got this much onto a cartridge. It totally deserves its place as an all-time classic! Okay I'm sorry but I just can't defend these games when there's so many glaring flaws in them and there is already a significantly better remake. The battle sprites are awful, there's an absolute lack of balance with psychic being over-powered and critical hits being based on SPEED, Team Rocket is boring and the story is borderline non-existent. If you still enjoy these games after 20 years, fine by me but in my opinion they have aged horribly. @abbyhitter Natures screwed the whole experience for me in newer games. Soft-resetting until you get the correct nature on a legendary is painful to the point I stopped playing ORAS. I prefer the old-fashioned system from gens 1 and 2. Crystal is the perfect game for me because it has some of the best changes from current gen (hotkey, location name, gender, shinies) but not the damn terrible nature system. The best games stand the test of time. Howcome the screenshots in the review are in colour? Lol, so many harsh criticisms, with arguments being based on newer installments. Well no kidding those are better, everything was learned from this game. No, it wasn't a perfect game, but don't forget it started it all. For all it's flaws, it did a lot right. That's what this VC release is all about, reliving the past and seeing how different everything has become. Gen 1 is flawed to be sure, with a lot of big and little things missing that the later generations added in to improve the experience significantly, but I still absolutely love it. Been having a blast replaying Yellow. These games have aged and I would not call it well. I did however, get through that factor and now I at the cruise line it is all coming back to me. I do have to say, as much as I enjoy these games, I do feel they show signs of aging. Its not the graphics either. I enjoy the classic style. There are a few things that were added in the newer games that I wish could have been in this game. These are just super minor things of course like the exp bar that fills up as your exp does. It gets a tad bit annoying to have to go into the menu, select the pokemon and figure out when its gaining a level. Then again, this was the 90s and thats pretty typical of that time. Ive been spoiled by these newer games where the meter is on the screen. Also, is it just me or is the beginning of t his game very grind heavy? I love the relative simplicity of Gen 1, personally. @abbyhitter Funny considering how natures all but ruined the series for me. Why randomly screw with Pokemon stats? That just makes the very task of getting the Pokemon you want infinitely more tedious. The original games are far from perfect, but they have their charm, and have definitely aged well compared to other ganes. They are still very fun. @dok5555555 This is exactly what I've been trying to find out! Very difficult information to nail down and this review using Super Game Boy screen shots doesn't help at all. I was really hoping for a "color on/off" option in Blue & Red. As much as I liked these games back in the day, playing them on VC just makes me miss the Gen II games all the more. Yes granted there is the option of playing Heart Gold (which I own) through DS mode, but it was the original Gold and Silver that blew me away even more than Red/Blue/Yellow. Gold and Silver added a LOT of features we take for granted in later generations (a much better backpack, an visual XP bar, move deleter, Sp Def, Shadow Ball, breeding, and re-classification of move types (Karate Chop finally being Fighting, Gust = Flying etc - all logical choices). Not to mention (what I feel is the best feature to date) going back to Kanto and essentially having 2 (even if slightly shrunken) regions). It'd be nice if they went back and did Gold/Silver/Crystal in a similar fashion before Sun/Moon. Gen 1 is incredibly outdated and when the games finally came out, I considered that and decided I really didn't want to play them again. I'd rather play the Gen 3 remake, and even then I decided against it because I don't want to go back to a game that doesn't have the physical/special attack split. Gen 1 was good for its time, but the authors claim that the games were "Twenty years ahead of their time" is just ludicrous. Gen 1 is completely outclassed in every way by the modern entries into the franchise when it comes to game mechanics. @sonicmeerkat 2nd gen still exists, so nope. I have played a Nintendo the better part of thirty years, now. Amazingly enough, I picked up Yellow, and it is the first Pokemon game I have ever played of the core series. I thought I was too old for it when it first came out. Kids helped change all of that. They are crazy into it, and now, so am I. I love retro gaming, and this is a real gem. It was enough to make me go out and preorder moon. @KIREEK TriforceOfAwesome here, and I was just surprised after years of seeing you on Kotaku to see your name and avatar pop up here! I tend to like it better around these parts, especially given my Nintendo inclination, but it's a pleasure seeing you here! Always nice to see a familiar face! I'm really enjoying these rereleases. It's taken a bit of time to reacquaint myself with many of the game's limitations, but it hasn't been a difficult transition by any stretch. I'm more of a Gen II fanboy than a "genwunner" though, and I'm really looking forward to a VC release of Gold, Silver and Crystal. I mainly love these games due to nostalgia. They still are solid RPG's but I wouldn't give the game a 9. You have to be a classic gamer to really dive into gen 1 again. @mjc0961 I agree. I won't buy these Gen 1 games again. I don't want suffer through them. Question, why is there a picture of Ash from the cartoon? He is not in the games at all. Even yellow version has Red, not Ash. @greengecko007 "Why randomly screw with Pokemon stats? That just makes the very task of getting the Pokemon you want infinitely more tedious." Well, natures and EV points added a lot more strategy. They allowed more strategies in pokemon since know you could train them in several ways. Sure, normally a couple of natures are the only ones considered good in a pokemon, but when you combine: movesets, natures, EV points, and abilities you get a whole lot of new strategies and variation. It is indeed tedious, but at least the breeding system is way more efficient to the point where you can make the pokemon you want if you know what you are doing and in my opinion way faster than leveling up your team in these games. Other than that I do agree. The simplicity of these games does have charm too, and nostalgia or not, they still offer a whole lot more than many modern games. Sorry for my english. Still debating getting this & making my way back into the franchise. If anything, to see if I can beat it without relying on that 99 item trick this time. I can still play Gen 1 games just fine. Sure, there are some bugs and design flaws that hinder the experience but other than that there's nothing wrong with them. Some may say that the sprites are ugly but the designs weren't even finalized yet. They improved a lot with Yellow and Gen 2. They have built so many new additions on top of the basics that were introduced in Gen 1 that it might be weird to take a look back nowadays. It's the same as being able to play and enjoy the original Super Mario Bros. even though the later games have hugely improved since. @Dankykong Who cares if the remakes aren't the original versions? They're still the better games in pretty much every way. As for accessibility, it's not hard to find one of them at a used game store for cheap. The only real issue is if you no longer have something capable of playing GBA games. @rushiosan I agree that the Natures are an unnecessarily complicated mechanic that I wish had never been added, so I just ignore them (as well as the EVs), the exceptions being when I catch or otherwise obtain two of the same Pokémon species at once or need to decide which one gets which branch evolution. My Pokémon don't need to have the absolutely best stats I can get them as far as I'm concerned. As long as I can provide the moveset and Ability I want (and I've even relaxed my requirements on some of the Abilities with the 6th gen games) as I work on completing the Pokédex and obtaining every final evolution, I'm good to go. 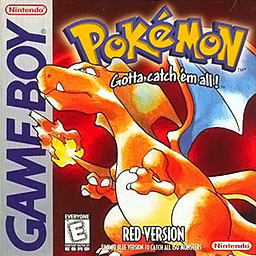 As an adult who has never played Pokemon (with the exception of like 1 hour on a friend's Gameboy many years ago), does the NL community recommend this game? Basically, I want to know if a new player can enjoy this game without the nostalgia. I recently bought Pokemon Yellow as a start into the series. And I gotta say I'm loving it! Never thought it would be so addicting.. Gotta catch 'm all! I love how people here are criticizing these games based on its own future releases in the series. @roy130390 Choosing how to spend points in EVs in honestly enough customization. IVs are another insufferable RNG system, where if you're lacking any points, you're essentially already handicapping yourself. I don't see any benefit to that other than to intentionally make getting good Pokemon a tedious process. Also, your English is pretty good, no worries. @Jayvir That's pretty much the only way to criticize something. Comparing the old games to the new games shows how far Pokémon has come and shows all the bad things that Gen 1 had going for it. You can't compare Pokémon games to Mario games and call it a fair judgement. Using the newer games as reference is the only way to show where Gen 1 messed up. So many memories with Pokemon back in the late 90's. I can always go back and play the 1st gen games. @dew12333 Keep the discussion on Pokemon and not other users. @BulbasaurusRex Just going "Who cares?" and telling me your opinion on it doesn't mean nobody cares. Pokemon Blue has sucked me in and won't let go. I seriously feel like a kid again playing these games. 10/10 in my book. @Dankykong Fine, nobody cares except those who are far too blinded by nostalgia, as FireRed and LeafGreen are the better games in pretty much every way. Happy? The only Pokémon game I ever played in my life was Diamond until I decided on a whim to pick up Red on VC. I am totally addicted. I am not playing for nostalgia, and I can attest that the game holds up well. It's refreshing to be dumped into an adventure without an hours-long tutorial. New Pokémon are added in slowly enough that a new one feels like an exciting find, and leveling up feels worthwhile. And the whole experience feels more manageable than sprawling modern RPGs. There are a few mechanics that are unfortunate. Menus are not snappy, and accessing certain frequently used actions is clunky, but that's just because it's old. Overall, great game. I highly recommend it WITHOUT being blinded by nostalgia. I suppose these game will most likely only appeal to those that played it the first time around. You can't really compare it to all the improvements that have happened over the course of several years. For me, the nostalgia factor is the number one reason I purchased Yellow. However, if I compare it to say, X/Y, then we're talking a whole different story. I also give this a 9 myself and find it a wonderful addition to my library. Kudos for the re-release. Yes, some of the appeal certainly is nostalgia, but I'm not blinded by it. The game mechanics, building your own team, etc. make for the fact that Pokemon is a good game. I can see the game for what it is: A great RPG/Action title despite it's dated graphics. It's a bit rubbish that you can only hold 20 items. -Tons of glitches and bugs (and don't say 'oh but they're not game breaking glitches! ', some of them are, and even if they weren't that's not really an excuse). -For a game that puts a focus on 'gotta catch em all!! ', it doesn't even tell you what pokémon you've caught (aka the little ball next to a wild pokémon's name isn't in this game). -For a game that puts a focus on 'gotta catch em all!!! ', it sure is easy to fill a PC box. You also need to switch boxes manually, if you filled a box and you haven't switched it, say goodbye to that mewtwo you're trying to catch. The actual process of witching boxes is also very cumbersome. -Lack of moves. Only fire, water, ice, electric, normal and psychic types have it good. -You can only hold 20 items. -Having to enter a bunch of menus just to make your pokemon use an HM. -No way to delete HMs, no way to remember forgotten moves. -Also no way to know what TMs even do. Anyone who thinks gen 1 is still good is absolutely blinded by nostalgia. They're very bad games.